"I want to be a journalist or a lawyer so I need to study up to the university." I am very happy to write to you this letter and I hope it will find you in a good condition of health. Moreover I would like to thank you for this best sponsorship. I came from a poor family and I believe this will help me a lot. I want to study up to the university so I need your support and I promise you that I will pass all my exams at anytime and I will get outstanding results. I would like you to help me because transportation to school is very difficult for me. I promise you that I will be very serious in school because I want to study up to the university if you continue to support me so that I can work for my country. 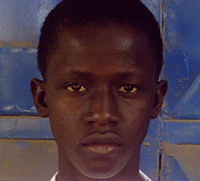 I am attending Muslim Senior School in Banjul at grade 10. I am social science student. I want to be a journalist or a lawyer so I need to study up to the university. I am thanking you very much for you support.